Confession: I remember the first time I ever heard of engagement photos the entire idea of it baffled me. My biggest confusion was how the photographer knew the couple was getting engaged. Did he just stumbled upon the proposal? Was it planned? Friends, I thought you could only get engagement photos done right when the proposal happened. The entire notion made little sense to me. Thankfully, I’ve come a long was from that confused eighth grader. Engagement sessions are one of my favourite parts of the whole wedding experience. In fact, I love them so much, I include them free with all of my collections as a gift to my couples because I want to share in the experience with them and don’t want them to miss out on experiencing an engagement session of their own! I know some of you reading this are like yes, girl! I’ve been dreaming about my engagement session since before I was even engaged (ditto! ), while others are probably rolling your eyes at me, completely uninterested in even entertaining the thought of an engagement session. Some of you may even be terrified of the thought of being in front of the camera (also ditto!) and its you that I’m speaking to today. I’m here to bring you over to the dark side of the engagement session zealots. I promise you’ll thank me for it. And if that’s not persuasion enough, did I mention we have cookies? That being said, I can’t begin to convert you from hating engagement sessions to loving them if I never actually tell you why they are so awesome! So, without further rambling, let’s dive in to the reasons why I believe every couple NEEDS an engagement session! My first reason for why you need an engagement session is the very reason I’m sure a lot of you don’t want to have an engagement session; it’s awkward as heck being in front of the camera! Suddenly, you’ve forgotten how to smile, you’ve never been more aware of how weird your hands and arms feel, and you’re having flash backs to grade school picture day, when you were forced to move your feet and head a millimetre at a time to get the perfect head tilt, torso twist combo (all the while you’re smiling in a way that would frighten most children). If you’re reading this thinking “yup, that’s me” just let me say, I feel you! I’m still super awkward in front of the camera and I’m around cameras all the time! But this awkwardness is exactly the reason engagement sessions are so important! So many of my couples tell me how awkward they are in pictures and, honestly, the first little bit of the engagement session is awkward, but after that it gets so much better! I always say that the engagement session is like a dress rehearsal for the wedding day; you get to get all of your nerves out ahead of time so by the time the real deal comes around, you’re basically professional models! And most of my couples are complete naturals in front of the camera, they just needed a little guidance! Fun story: I had a groom at one of my recent weddings tell me how glad he was they had an engagement session. He was the last person I ever expected to hear say that and it made me so happy to hear! One of the things I love most about being a wedding photographer is getting to meet some amazing couples! Sometimes though, there is nearly two years between when my couples book and their wedding date. A lot can happen in two years and engagement sessions are a great way for us to catch up and get to know each other a little better! Along with getting to know my couples better, this is also a chance for my couples to get to know me better as well! Every photographer has a different way they approach capturing an image and it’s so important to be aware of and feel comfortable with your photographer’s approach. Even if you’ve had an engagement session with another photographer, I always say that you should have one with the photographer who will be photographing your wedding so you are familiar with their methods and personality! The things that I have my couples do at their engagement session are very similar to what we’ll be doing on their wedding day and, with less time to get it right in the midst of wedding day chaos, knowing what to expect will make the portrait part of the day go that much smoother! Most of my brides have chosen to get their hair and make up done professionally for their wedding (such a good idea, by the way!) 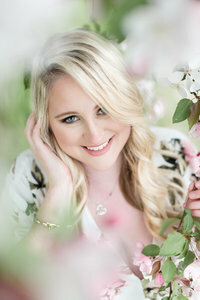 and your engagement session is the perfect time to trial your hair and make up! Especially for people who aren’t used to wearing make up, professional make up can look a bit overdone when you first see yourself in the mirror. However, it translates much differently on camera and what may look like too much to at first, turns out to look just perfect on camera. If, for some reason, you don’t end up loving the way your hair or make up looks, seeing this reflected in images will give you feedback to bring to your hair and make up artists so they can be sure to get your look perfect for your big day! Keep in mind, your hair dresser will often style your hair in your wedding hairstyle at first but adjust it so it’s more casual for your engagement session. If you’re anything like me, you have a beautiful dress or two hanging in your closet that you’ve always wanted to wear but never had a good enough reason to. Well, your engagement session is the perfect excuse to finally get all dressed up (it’s also a good excuse to go shopping!) And since you’re already dressed up, I always suggest my couples turn it in to a date night. Go for a fancy dinner and get all snuggled up during your engagement session; It’s a perfect mix! For those of you who are moms, I think you need this tip more than those of us who are childless. You spend so much time doting on your tiny humans that you spend so little time thinking about yourself. Use this time for you and your hubby to be, a night just for the adults to get dressed up and be a couple in love! If you can’t tell, I’m clearly so in love with engagement sessions! I hope that I’ve convinced a few of you who rolled your eyes at me earlier to change your mind! It’s truly such a fun experience and I hope you don’t miss out on such a great part of your wedding experience! 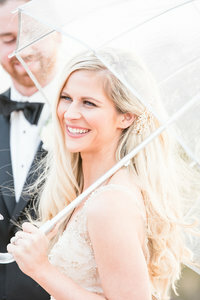 Let’s Talk Wedding Planners with Georgia from State & Co.
Want to get more wedding tips straight to your inbox? Click here to sign up for Wedding Wednesdays and never miss another wedding tip again!